As you may, or may not, know, I love trip planning. 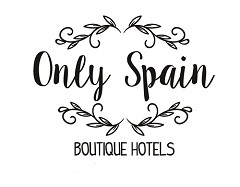 Not only do I offer trip planning in Spain services which compliment the portfolio of gorgeous place to stay – Only Spain ~ Boutique Hotels and B&Bs. Of course you don’t have to stay in any of the properties on here. There are many, many more across the country that we haven’t visited – yet! So when it comes to our own planning, (yes I’m the planner and hubby is quite happy about that) spring time is just the best time for visiting Spain. Winters, especially inland can be cold (it is where we live) so the beginning of spring and the blossoming of flowers and shrubs is just my favourite time of the year. Summer, again especially inland, can get very hot. We get temperatures into the late 30s early 40º centigrade in June, July and August which just about finishes off a lot of plants. Many go dormant such as roses which bloom twice here, once in late April, early May and again after the intense heat has died away at the end of September, the beginning of October. So colourful, brightness and sign that winter is departing with everything starting to bud is the best. The vines are just beginning to show signs that they are in fact alive. The olive harvest is starting to wind up and my favourite season is about to begin – or to spring! So it’s time for trip planning for the spring, and I’ve begun. January is almost behind us (I didn’t say it but thought – I’m glad). February if it’s a mild one sees my gardens come to life. I have one at home and one at our holiday home Casa El Reguelo. Always a fair weather walker and gardener – roll on the warmth! The visits we have planned so far are three lovely new properties in Andalucia. One in Cordoba city, one in Granada province and one in Malaga province. If you’ve always wondered what Andalucia actually consists of, have a read of my post – Where is and What is Andalucia…. I’m excited to bring you the gorgeous 200 year old La Casa Grande de Zujaira in La Vega area just 22km from Granada city and on the doorstep of Fuente Vaqueros the home town of poet Frederico Garcia Lorca. There’s now a museum in the house where he was born and historical archives on his life and works. Next month after a few non-working days Ibiza (yep, heading for some warmth) we go south to the province of Malaga to visit the ancient Moorish dairy farm – Cortijo del Arte in Pizzara. That is in the Guadalhorce valley, a lovely rural spot, each room in this ancient farmstead is named after an artist. Watch out for its addition to Only Spain at the end of February. The beginning of March sees us heading to one of my favourite Andalucian cities – Cordoba, to visit the stunning Hotel Las Casas de la Juderia de Cordoba. A hotch-potch of five ancient houses in the Jewish Quarter that have been united in one hotel via little patios and corridors, it’s rather larger than our usual style but quirky and unique. A very central hotel just two minutes walk from the Mezquita. As yet we have no plans for Easter, but after that hubby, youngest son and I are heading (probably plunging back into winter) to Glasgow to visit my brother and nieces. I can’t wait to see them, but think I’ll also be happy to return to my Andalucian blue skies. So that’s my Spring Time for Trip Planning in Spain – how’s yours going? Don’t forget if you want help planning your trip to Spain, just get in touch. It’s all on this page. ← Where is and What is Andalucia and Which Boutique Hotel to Choose?